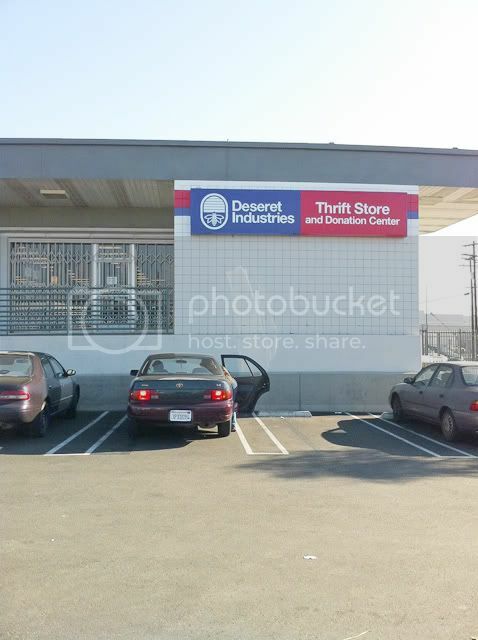 I recently discovered Deseret Industries thrift store in Vernon, CA which is east of Downtown. There are two floors: upstairs is all clothing and shoes, downstairs has everything else. My favorite is the collectibles section: vinyl records, dolls, silverware, and a bunch of film cameras. 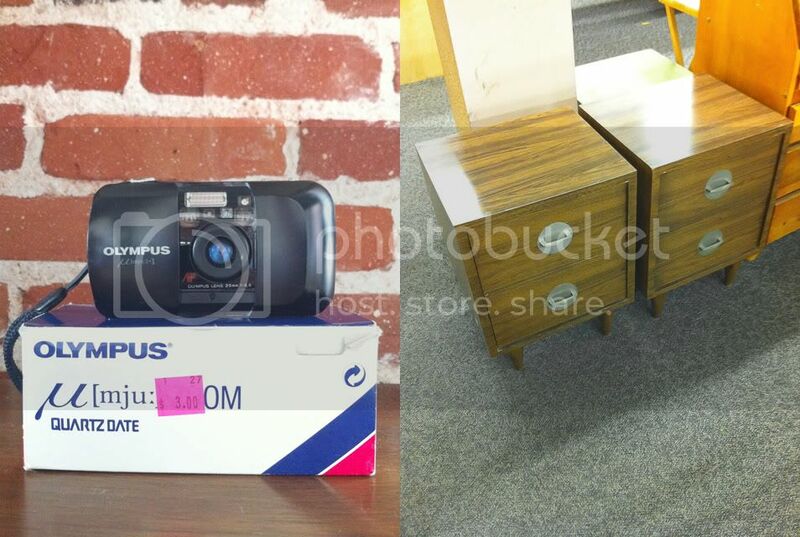 I found an Olympus Stylus camera for $3 so I'm thrilled. Books – A huge wall of books but nothing caught my eye. Furniture – Good amount of chairs, sofas, tables, dressers, and bed frames. 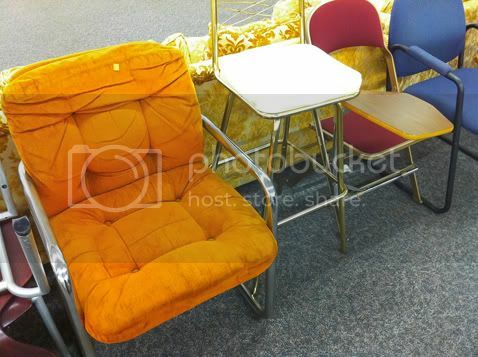 I'm still debating about the side tables and the orange chair for $10. FYI, you are not allowed to sit on any furniture. Kitchenware + Appliances – The racks are filled with neatly stacked plates and cups. 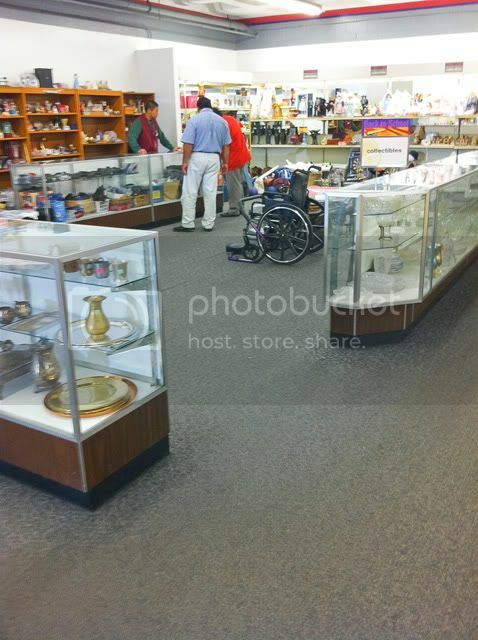 Clothes, Shoes and Accessories – The clothing department upstairs threw me off because it looks like Ross. All the racks are organized by sizes which is amazing. I tried on a couple blazers but didn't love it. Shoes are in the back. I don't get the overwhelming feeling of crap everywhere at Deseret. 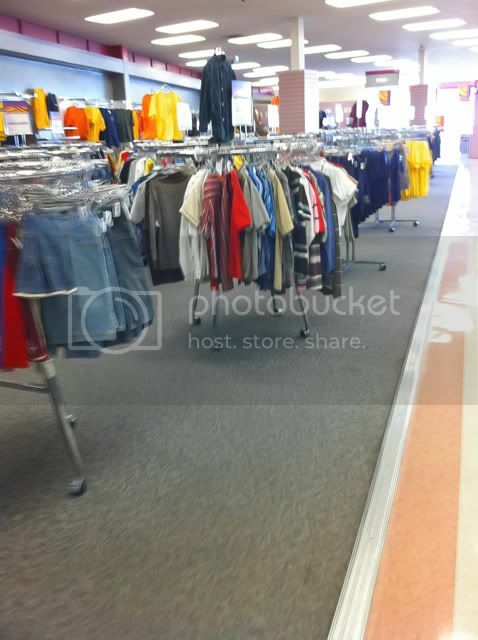 It's one of the cleanest and tidiest thrift stores I've ever seen. There's a funny doorman who greets you again and again, every time you enter or leave the store, or even just to pass by to go from different floors. He's like a door chime. This place looks promising. I'll definitely come back and keep my eyes peeled for cameras and furniture. And just a heads up, if you're going south on Soto St. which is their major cross street, you'll need to make an inconvenient U-Turn to get onto 11th St.